It’s been all talk of late amongst Hammers faithful as to who of a dozen palyers out of contract this summer should be given new contracts, but there are also those who are contracted only slightly beyond that and for whom the remainder of this season will also define their Hammers future. 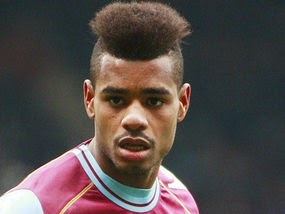 Ricardo Vaz Te signed a single year extension to his contract at the beginning of January 2014 but has again stuttered due to patchy form and then a shoulder dislocation and as a result has only mustered seven appearances this season. Now that he is fit again, it is surely ominous that he could not even make the bench against Manchester United – a fixture in which we frequently find ourselves chasing the game and where players like Vaz Te who can produce the unexpected are especially useful. Long gone it seems are the days of hat-trick heroics and play-off final triumphs that were such a crucial part in bringing the Hammers back to the Premiership. Sadly for Ricardo, he has never quite performed at the highest level and perhaps most damning is the observation that, now into his third year at the Boleyn, do any of us really know where his best position is? Therein lies the crux of the problem – he’s a good striker at Championship level but not for the premiership, while at the highest level he is not crafty enough for the wing as his crossing is modest and he has a tendency to put the head down and run up dead ends. Ricardo has previously spoken of a desire to return to Portugal and it would not be surprising if he was a major success at that level, however, with the Olympic Stadium beckoning, it looks like the end of the road for Vaz Te will interject before then. Ultimately, although he has been a great servant for the club, as the song says – if you love ‘em, set ‘em free! RVT is no RVP - simply not Prem standard. If and when Vaz Te leaves, J Cole will also probaby go - we will be light on the wings as Downing is getting on and injury prone while Jarvis is erratic and not a great crosser. Gizmo Gives the Goal to Guy! No Van Persie or Vidic - but does it Mata? Demel goal makes all the difference! Begorra Begod, it's the Emerald Hammers!!! Self-Harming Hammers Get the Daggers Out! Three Irons in the Shirt!! !